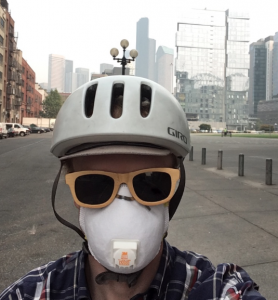 As you may have heard, Seattle Neighborhood Greenways has endorsed 1631 the Clean Air, Clean Energy initiative! Volunteer to help pass this exciting measure. Transportation by vehicles is the leading source of Seattle’s contribution to climate change, accounting for two-thirds of our greenhouse-gas emissions. The terrible smoke that we all choked on this past summer and the recent International Panel on Climate Change report remind us of the urgent need to act now to reduce our emissions. Clean air and a stable climate for our families and future generations is one reason many of us, myself included, are dedicated to this work of transforming our streets and transportation system. And this initiative will not only put Washington on a path towards a stable climate, it will invest in clean transportation projects here in Seattle. You may have heard some of the $32 million worth of negative ads from the big oil companies (the most money spent on any Washington initiative in history), but don’t buy them. Instead check out this list of Frequently Asked Questions. We don’t have $32 million to spend on ads, but we do have passionate people like you and me who care about our future, so please consider volunteering in the final days of this important race. Lastly, don’t forget to vote — it’s going to be very close! 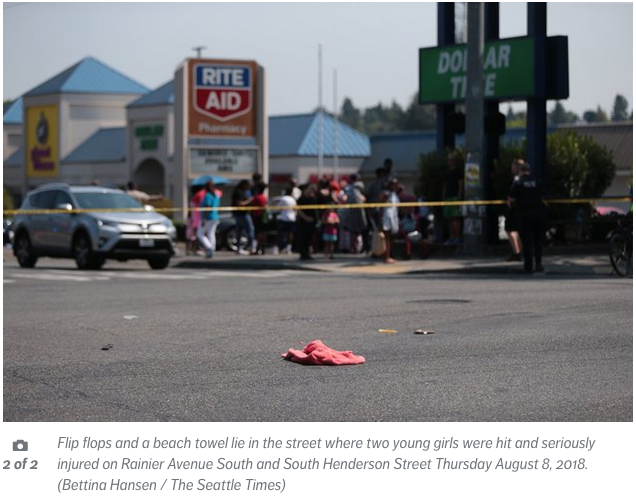 We have had enough of kids being injured along Rainier Ave. Last week, two young girls were hit at the intersection of Rainier Ave and S Henderson St, and another was hit back in May of this year. There is a crash every single day on Rainier Avenue South on average. 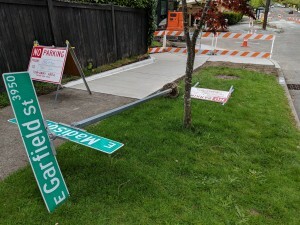 The city must act now to fix Seattle’s most dangerous street. 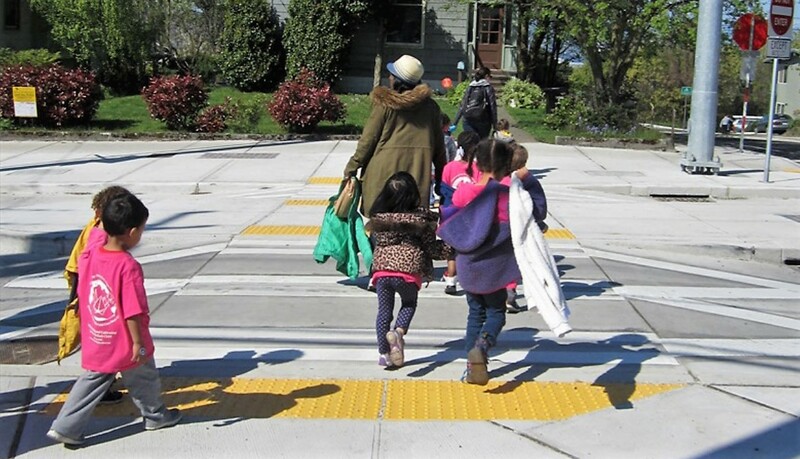 1) Sign the petition asking the city to improve the intersection of Rainier Ave S and S Henderson St before school starts, and to finish the Rainier Ave safety redesign project. What: A respectful discussion of community concerns and potential solutions. P.S. We have not yet been able to make contact with the family/families of the two girls who were hit last week. If you know them and could put us in touch so we can support them we would be very grateful. 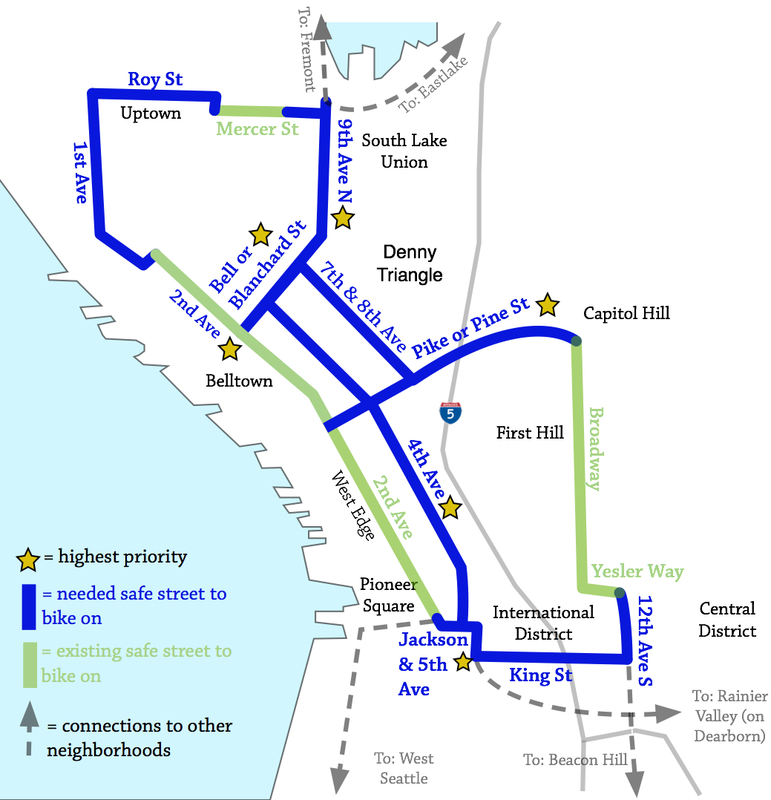 The Seattle City Council unanimously voted today in favor of building major pieces of the basic bike network. 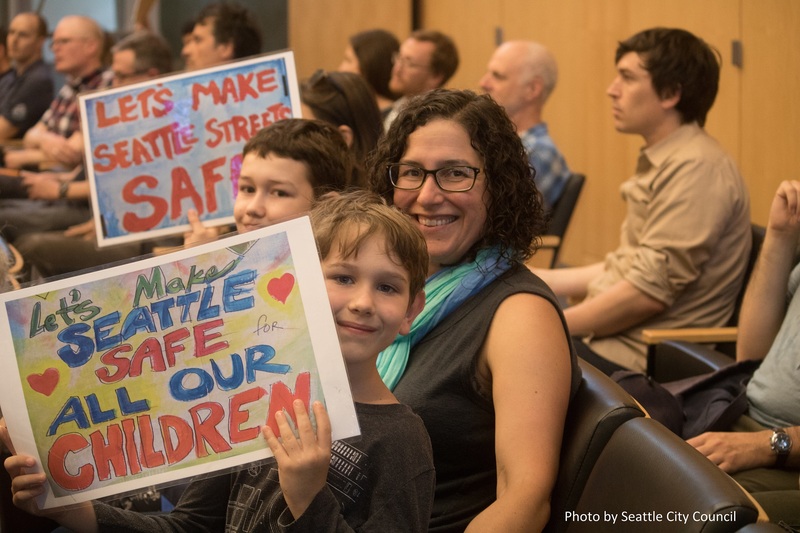 Thanks to this vote you and your loved ones will have safe, protected routes to bike into and through downtown Seattle from the north, south, and east (2nd Ave to Westlake, Dearborn, and Broadway) by the end of next year. Read more. 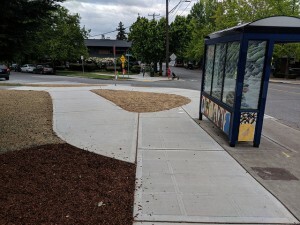 The Council also voted unanimously to require SDOT to improve walking and biking conditions in the Delridge neighborhood as part of the Delridge Way Multimodal Corridor Project. Read more. 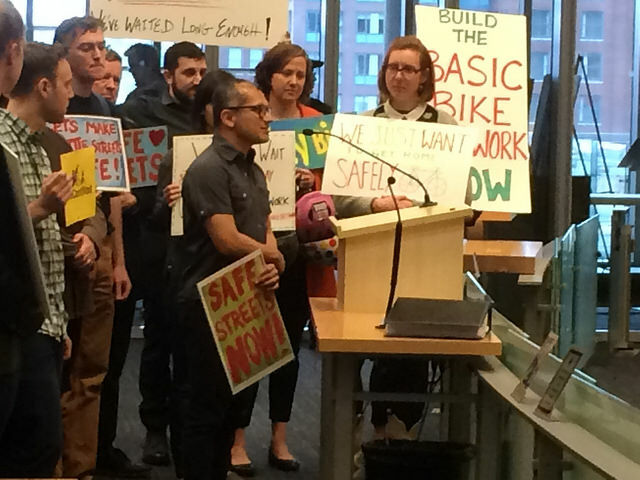 The Council also voted unanimously to pass an expansion of the privately funded bike share program with a focus on equity and reducing the number of bikes blocking sidewalks. Read more. Appreciate these wins? Support our work so we can keep this momentum going. 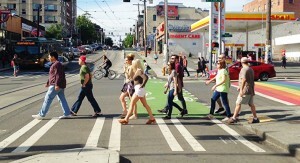 Pike/Pine in 2019: Big win thanks to your advocacy! 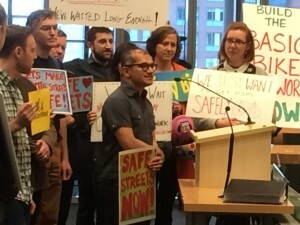 Thanks to your advocacy, the Mayor and SDOT staff have committed to building safe, protected bike lanes on Pike/Pine connecting downtown and Capitol Hill by 2019! Please take a moment to thank the Mayor now. 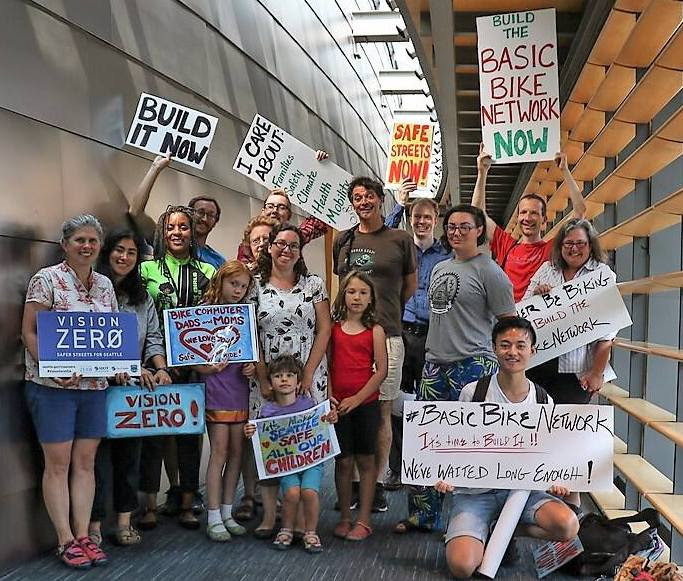 This is a significant win in a prolonged campaign for the Basic Bike Network. We have gathered to raise our voices time and again—via email petitions, in City Council chambers, and at powerful rallies—and we are being heard. That’s why we are so excited that the Mayor and SDOT have committed to building the crucial east-west connection of the Basic Bike Network in 2019, with additional upgrades to follow in the coming years. Please take a moment to thank the Mayor for committing to building protected bike lanes on Pike/Pine from Downtown to Capitol Hill in 2019! 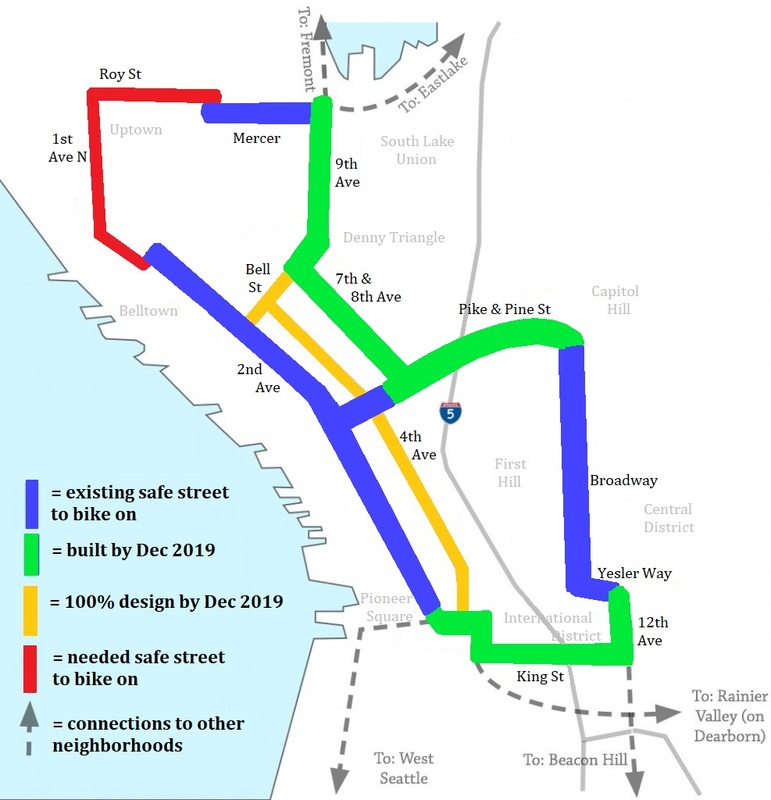 Let’s keep the momentum for the Basic Bike Network going! 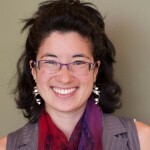 Thank you for your continued advocacy – you are making a difference! Story by Bob Edmiston, Madison Park Greenways. In the summer of 2013, a Madison Park resident was struck by a driver while walking across East Madison Street in a marked crosswalk, in broad daylight—and was critically injured. 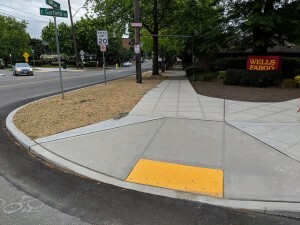 The community organized and formally asked the City of Seattle to make it safer to cross the street in our little neighborhood business district. The community’s focus was on a complicated 6-way intersection where East Madison Street, McGilvra Blvd East and East Garfield Street meet. Many of the crossing distances there ranged from 50-100 feet across, exposing people on foot to hazardous speeding traffic. Parking near and within the intersection was blocking critical lines of sight between people walking and people driving. The combination of these compounding design flaws are thought to have factored into the tragic collision of 2013. 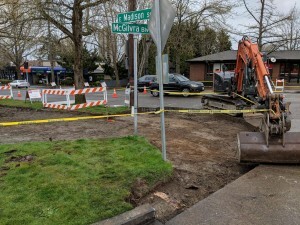 Fixing these hazards became the objective of our Madison Park Greenways group. Five years later, after many grant applications, pitches, community design meetings and countless volunteer hours, the project is now nearly complete. The results are excellent. 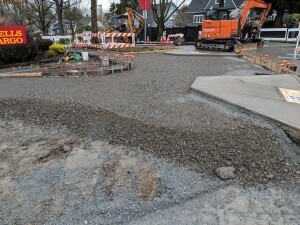 The adjoining streets have been squared up, entrances narrowed, curb lines moved in order to reduce pedestrian crossing distances and sight lines have been improved. Landscaping is being restored in a way that will permanently keep sight lines clear. 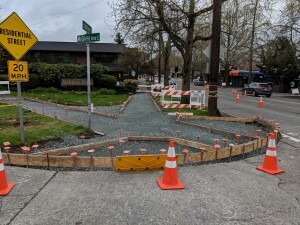 By eliminating the worst safety issues of this very complicated intersection, this project has made Madison Park’s central intersection feel safer to cross on foot and safer to drive through. 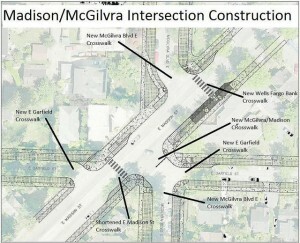 Since this intersection is the primary crossing for children who attend McGilvra Elementary School, the improved intersection opens up the possibility of walking or biking to school to more of the community. The man who was critically injured has recovered has been anticipating completion of this project. It was his desire that the crossing between Wells Fargo Bank and Starbucks be finally made safe for those who live, visit and work here. 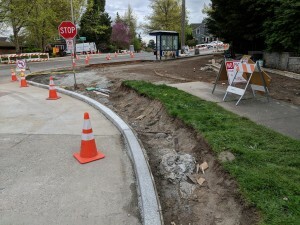 This project would not have been possible without a sustained multi-year direct collaboration effort between the Madison Park Community Council, the Madison Park Business Association, Madison Park Greenways and the City of Seattle Department of Neighborhoods and Seattle Department of Transportation staff. They have all done outstanding work. We plan on holding a ribbon cutting celebration soon.